This picture shows the catapult-launched Sea Hurricane IA on S.S. Empire Tide, with her two pilots - Flight-Lieut. 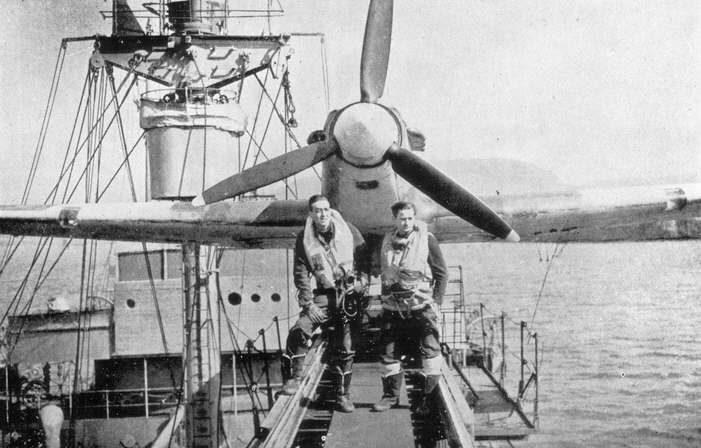 D. R. Turley-George (left) and the spare pilot Flying Officer C. Fenwick.